The power & popularity of Microsoft Excel can be judged by its users who share dependability upon this application, for their day-to-day business or non-business activities. 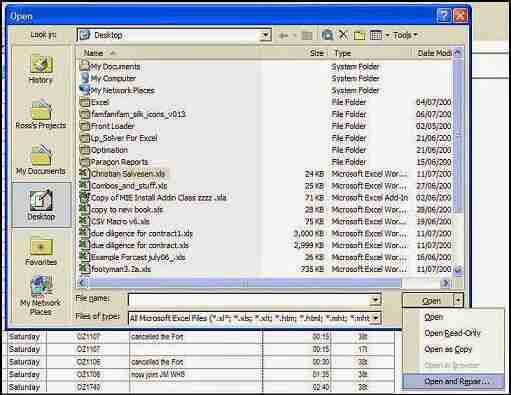 This Excel Spreadsheet program enables users to organize, manipulate and analyze large amount of data. Using these spreadsheets, users can keep a track of individual things like domestic inventories, invoices, lists and to-do checklists, agendas, cards, schedules, calendars etc. For business perspectives, users can perform intricate mathematical calculations to obtain results for financial losses or profits, sales figures, repayment plans for mortgages etc. just by applying respective formulas and functions to it. Besides computing operations, users can even execute common operations like filtering and sorting of data, graphing or charting data, conditional formatting, drop down validation & form control etc. With so much to offer, this application is surely the incredible for infinite purposes, whether its accountancy, marketing, scientific or anything else.Although, it’s even scary to imagine some damage or corruption to these Excel files, but reality is bitter as Excel files are vulnerable to damage for many reasons like application malfunctioning, incompatible upgrades, network issues etc. This is one such type of error messages, where corrupt Excel file refuses to open when user tries to access it. Such error message gets displayed, because of internal error (opening an older version file in newer version) and it is not at all easy to fix up this issue without backup. Therefore a corrupt file with this error prohibits users to access the stored data in the Excel file until it is completely repaired. However, if you have taken a backup of the file, then there are chances to recover the corrupt data. This option is provided in the drop-down list associated with the Open button. Just in case, the excel file fails to repair your workbook, click Extract Data instead of Repair. 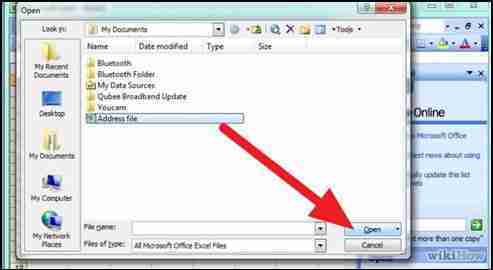 However, if a situation gets tricky and Excel warns you that the file caused a serious error the last time it was accessed, then make sure you agree to continue opening it. After following the aforementioned steps, if file still remains corrupted, then certainly you must take help of a third party MS Excel recovery software. RecoveryFix for Excel is an efficient Excel file repair tool to perform complete repair Excel file data including tables, OLE objects, fields, embedded texts, forms, formulas, reports, headers, footnotes and hyperlinks, Unicode character recovery etc. This software uses two recovery options, i.e. single file recovery and multiple file recovery to repair data file ensuring original formatting structure and complete integrity. The software supports all MS Office versions including2013/2010/2007/2003/XP/2000. Evaluate the functionality and performance of the tool using the trial version of RecoveryFix for Excel.